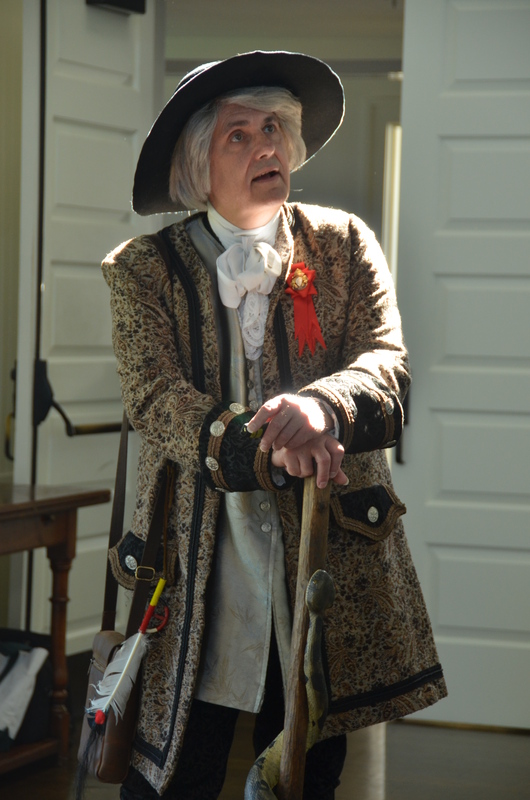 Westhampton Beach Garden Club « John Bartram Lives! 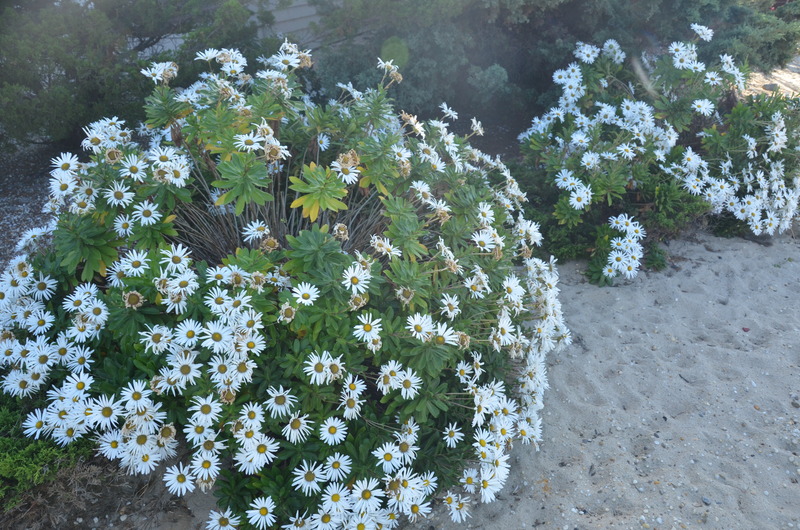 These Montauk Daisies are given their name because of their location: Montauk Point, Long Island, New York. I was told that I needed to travel to “The Hamptons.” It was a journey of many miles and required travel over several large water courses. The Hamptons are on the Long Island of New York State. 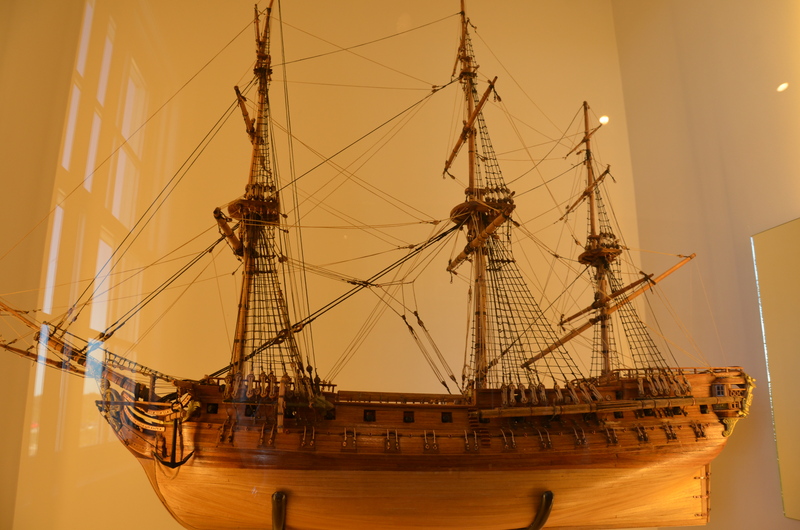 The 18th Century means of transport to and around Long Island New York. Its nature is one of sand dunes, pines, and junipers. In the fall it’s spotted with large colonies of Montauk Daisies. It is a summer retreat for wealthy city dwellers. They look to the cooling ocean breezes and the proximity to salt water to remind them of comfort and ease against the stress of Manhattan. 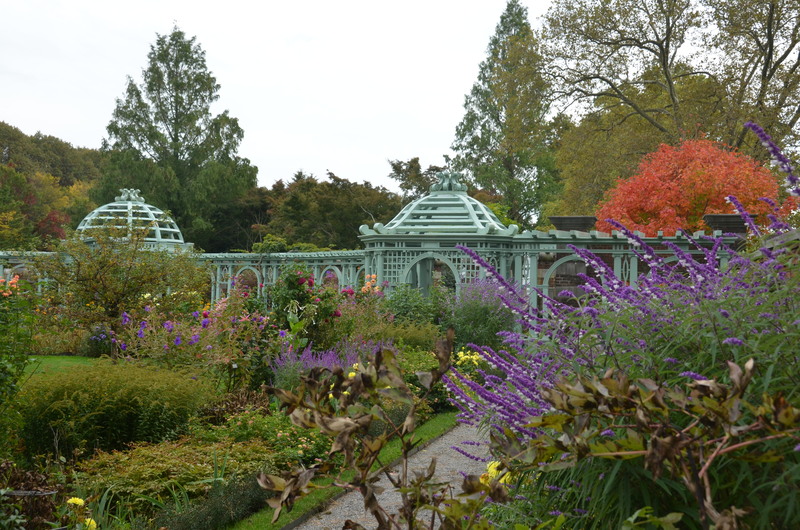 Old Westbury Gardens. The mansion. There are many mansions. 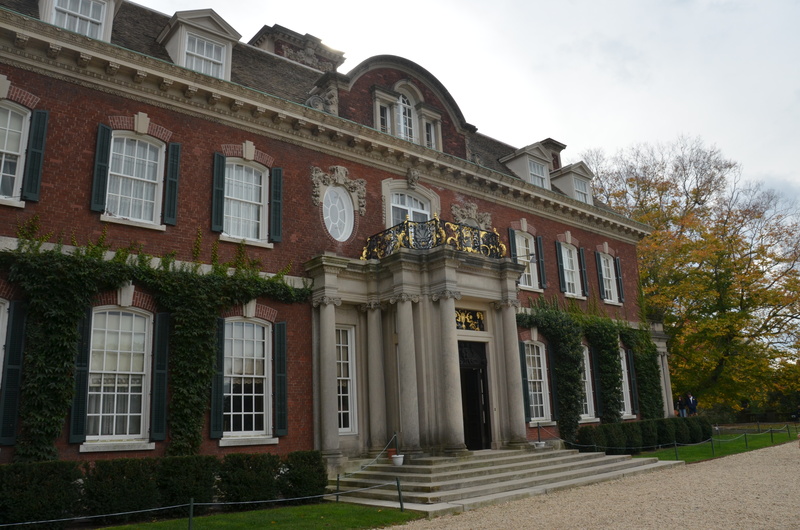 One that we visited was called Old Westbury. It was grander in scope and dimension than any of the finest residences in Philadelphia. 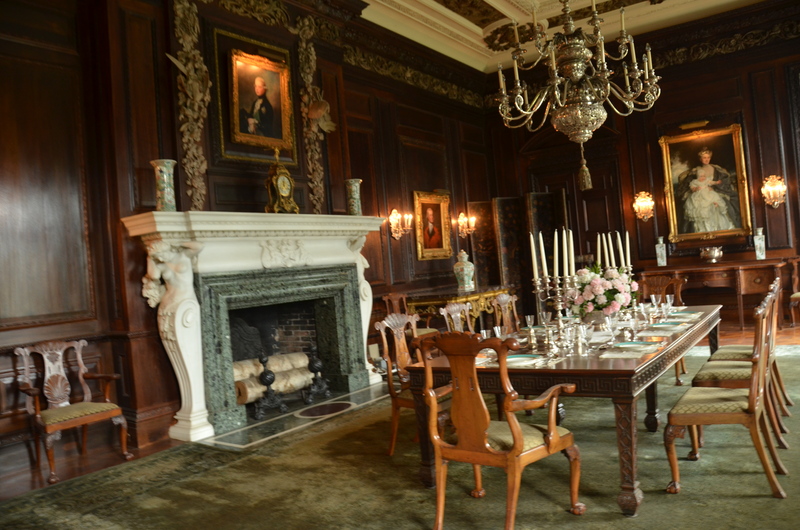 The dining room was crafted in the Georgian style. It was a room to entertain Kings. The dining room alone would encompass my entire house of Kingsessing. 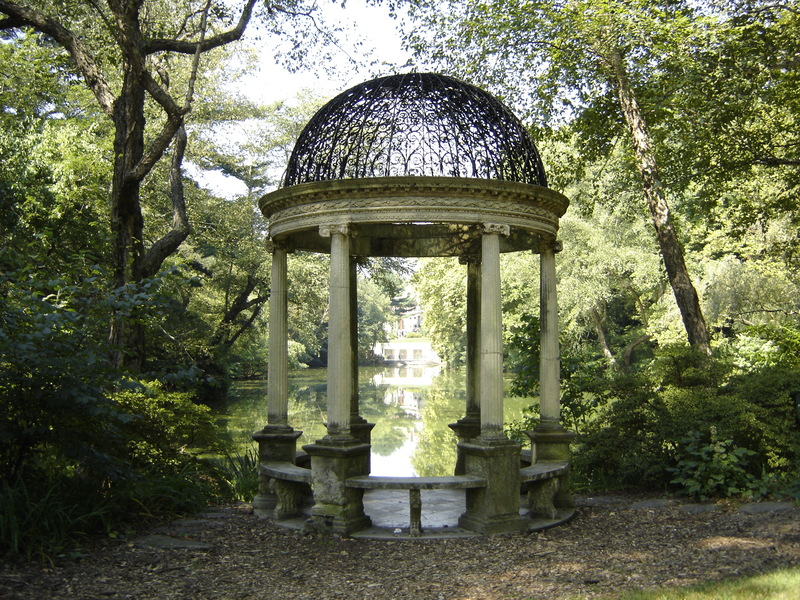 Old Westbury Gardens garden folly feature. 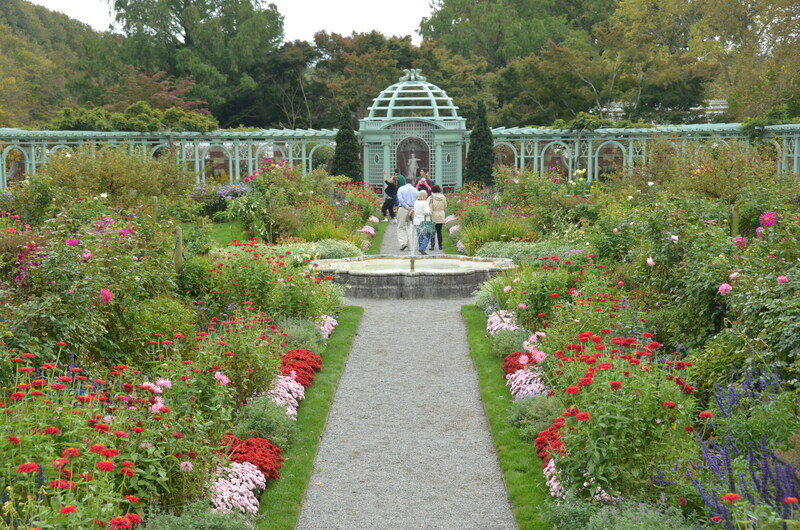 Old Westbury Gardens. The mixed flower borders. A perfect English pleasure garden. But the turn in the gardens was worth the ransom of a King. They were magnificent. The borders were developed and planted along the English model. The grand sweep of lawns would have graced any Duke or Baron’s estate designed by Lancelot Capability Brown. The Great Beech on the West Terrace of Old Westbury Gardens. It was transplanted to this location as a mature tree. 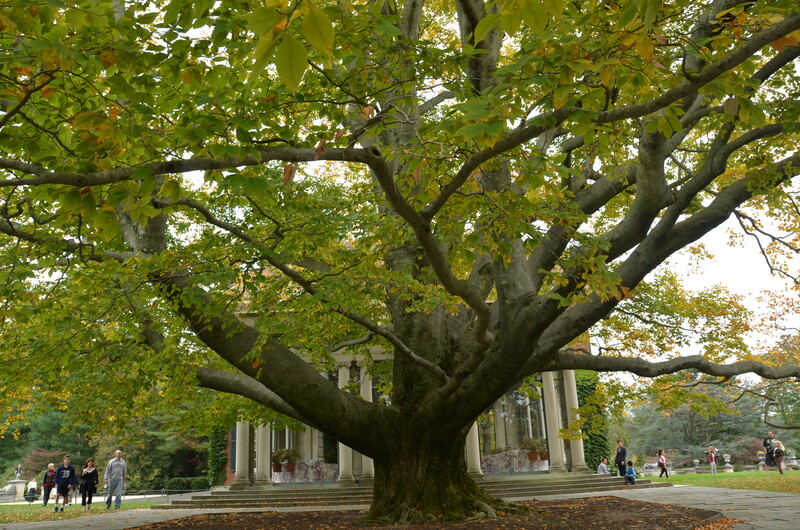 On the West Porch of the mansion there is an ancient Beech (Fagus sylvatica) This large specimen was transplanted into its position many years ago while it was already a gigantic caliper tree. The effort is greatly appreciated because its situation is perfectly scaled to the garden room at that end of the house. The Westhampton Beach Garden Club gathered in the club house of Westhampton Country Club. It was a well-lit room. 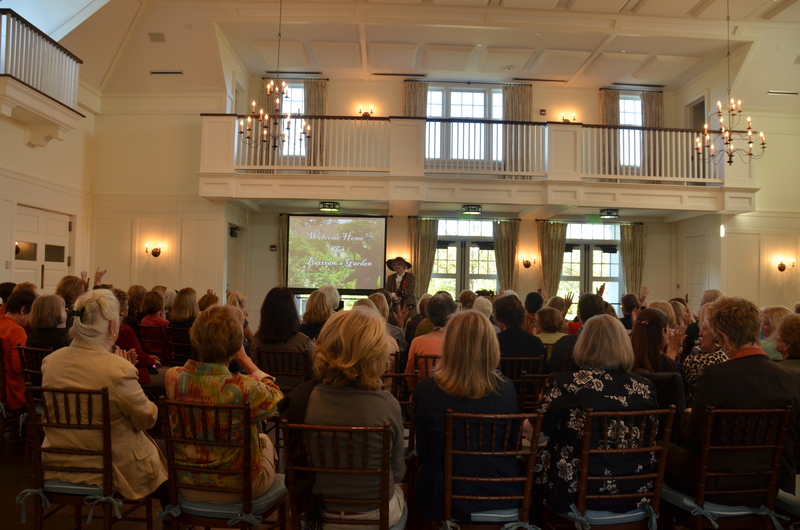 I was invited to speak at the garden club of Westhampton Beach. We met in the mansion-house of a sequestered golf course. The room was crowded but lit through large expanses of clerestory windows. 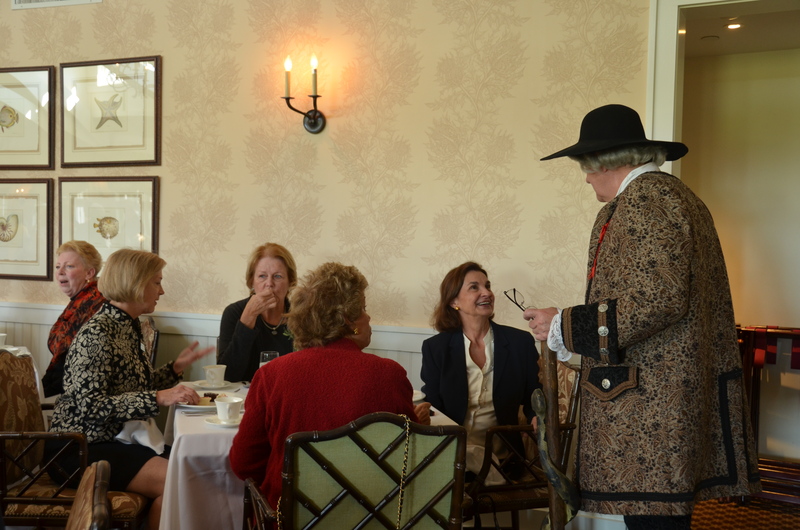 High tea after the presentation before the Westhampton Beach Garden Club meeting in the Westhampton Country Club. High cream tea was served in the dining room. Ann and I were treated well with all of the trimmings associated with leisure and royal breeding. I felt like I had been transported to London in the time of my great correspondent, Peter Collinson. Ah the lifestyle entices. The beach calls. Calm overtakes the senses. At the end of the day, it was pleasant to think that we could relax in Old Westbury’s gazebo as the sun sank in the west. West Hampton. Old Westbury Gardens gazebo at sundown. John Bartram is the current Treasurer of Garden Writers Association and has served that organization in many other volunteer capacities. He is a horticulturist, world-recognized botanist, key note speaker, business lecturer and dramatist appearing across the United States and Canada. Raleigh, North Carolina: Horticultural Hot Spot!